Baton Rouge, La. 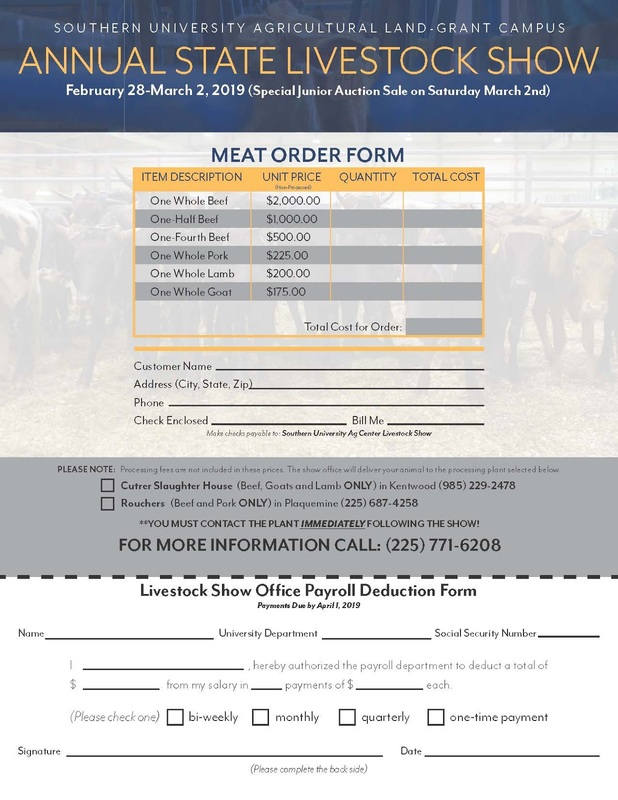 – The Southern University Livestock Show Office is currently accepting pre-orders for non-processed choice meats from various livestock. 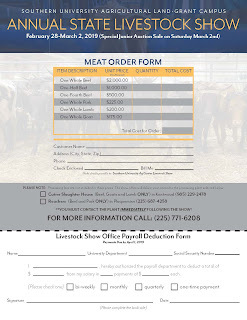 Southern University employees can purchase their meat through payroll deduction. Donations to the Greater Baton Rouge Food Bank are also welcome.